Through local community partners, you can get involved by volunteering with organizations covering a spectrum of issues, attending events to learn about social issues and solutions, and advocating on behalf of underserved communities. Fill out this quick form to get info on upcoming volunteering projects. Then, scroll down to learn more about our social justice initiatives. For more info or to create a new initiative with Maryland Hillel, contact Talia Orencel (Director of Social Justice and Engagement) to set action into motion! D.U.N.K. 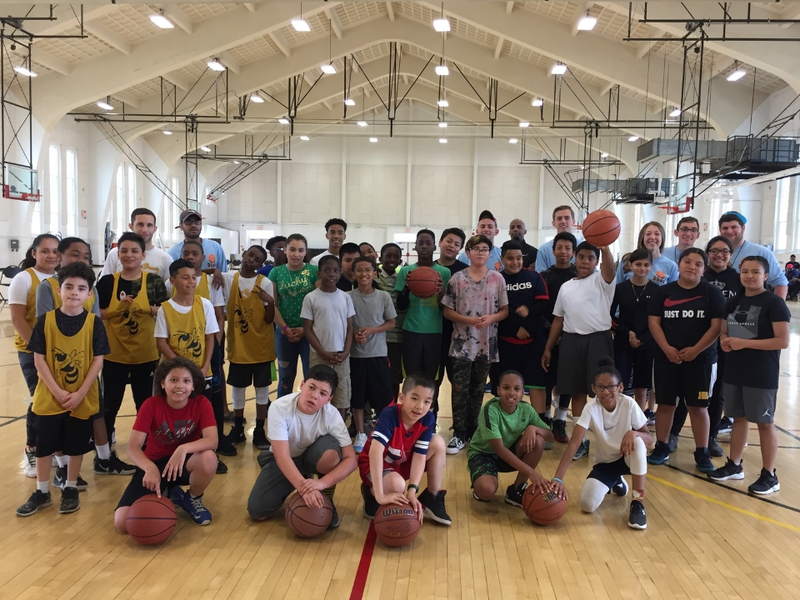 (Dedicated Undergraduates Nurturing Kids) connects student volunteers with local 5th and 6th graders to teach basketball skills, sportsmanship, and healthy lifestyles. Committed volunteers stress positive values while mentoring kids to realize and achieve their potential. For info, visit the Facebook page or email Mikey Pollack. College Mentors for Kids: Every Wednesday, college students work with youth from schools in Prince George’s County to foster ideas of higher education, culture, diversity, and community service. Activities have included the young students meeting university professors, attending lectures, and visiting special areas at the University of Maryland. The students are asked to reflect about each trip they take to campus in journals with their college buddy. Contact Chelsea Johnson to get involved! High Point High School: Once a week, mentor and tutor high school students as they prepare for college. Lead workshops on how to prepare for college while building meaningful relationships with high schooler. High Point is a Title I school and has the largest ESOL program in the county. 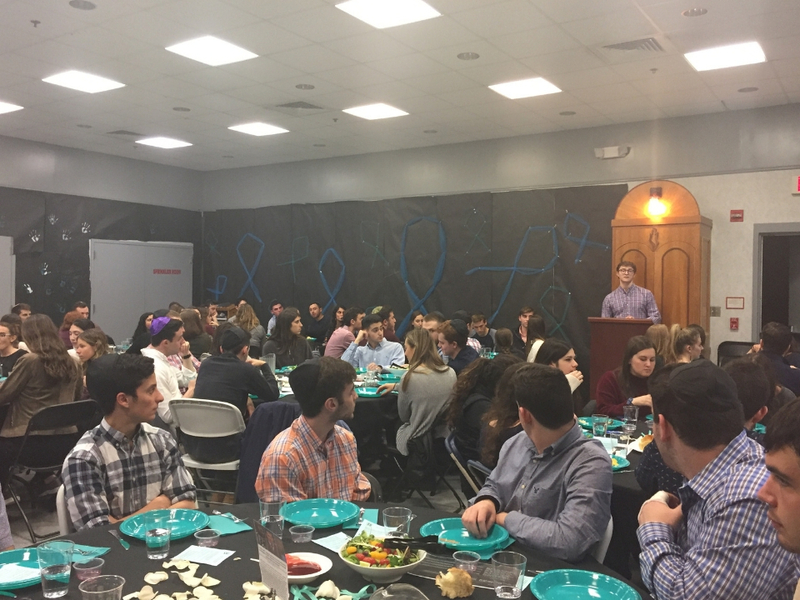 Interfaith Programming: Maryland Hillel values all religious and faith organizations and is working towards developing programming to bring together different views and perspectives in safe spaces. We have hosted several Interfaith Shabbat Dinners, meal packaging events, and dialogue discussions through our interfaith fellowships. National Coalition for the Homeless: 3.5 Million people experience homelessness in America. Maryland Hillel is working towards assisting D.C.’s homeless and most vulnerable populations with the National Coalition for the Homeless. Join us for monthly visits to soup kitchens, food banks, and panel discussions. Challah for Hunger raises money and awareness for people facing hunger by bringing together students. Join us on Thursday evenings to braid and bake challah and/or on Friday mornings to sell the loaves, all proceeds are donated. Hang out with friends and meet new people over challah braiding and important dialogue on social justice issues. The Jewish Foundation for Group Homes provides individuals with developmental disabilities and/or chronic mental disorders with the opportunity to live independently within the community. The Foundation values dignity, personal choice, and respect while offering the opportunity to experience Jewish life and practice faith. Maryland Hillel has been working with the foundation for many years and there are opportunities to organize activities such as visiting and assistance with programming at the group homes, sharing Shabbat meals at the group home’s, programming at Hillel, and Sukkah building at the residents homes. JFarm is a Jewish group focused on gardening and food justice. Founded in 2009, it maintains a vegetable and herb garden in front of the Rosenbloom Hillel Center. It also educates students on issues related to food security and encourages volunteering in the local community to increase access to healthy meals. To get involved join the Facebook Group or email jfarmumd@gmail.com. The Family Crisis Center is a domestic violence shelter for women, children and men to flee their unsafe situations and have a safe haven to acclimate to society after trauma. If you choose to volunteer, our specific tasks would be to work directly with the children 5 and under living at the shelter. This would be a time to play, color and have some fun with the very young children living there. We would be there to give the mothers a break and help the children live as normal of a life as possible. Volunteers currently visit the shelter Mondays, Tuesdays and Wednesdays. Volunteers also have to complete a training program at the beginning of every semester in order to be certified and prepared to enter the shelter. To participate, contact Talia Orencel (torencel@marylandhillel.org). Adopt a Bubbie: Weekly visits to elderly, engaging them with a variety of activities, while developing a strong relationship in the process. Volunteers currently visit assisted living homes on Mondays, Tuesdays, Wednesdays and Thursdays. Volunteers have to complete a training program at the beginning of every semester in order to be prepared to enter the facility To participate, contact Natan Oliff (natanoliff97@gmail.com). Yom Kippur Prison Program: During Yom Kippur students visit various federal prisons, in order to create a meaningful and enlightening Yom Kippur experience for inmates in those correctional facilities. Connecting with people from various backgrounds, students will gain insights to the American justice system and will provide Jewish learning to Jewish inmates who are looking for an opportunity to have a reflective Yom Kippur. 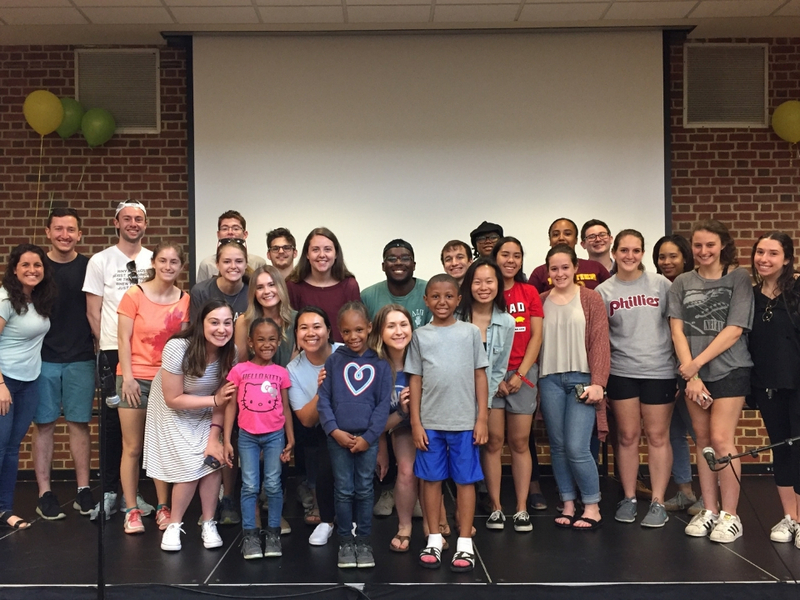 Global Justice Shabbat: Each year, Maryland Hillel holds a large-scale social justice Shabbat featuring speakers on various topics related to social justice and change. The past themes for the evenings have included #MeToo Movement, Syrian Refugees, Race, Power and Privilege in America, Global Hunger, Global Women’s Shabbat featuring Ruth Messinger, President of American Jewish World Service. Students have the opportunity to chair the event by leading the programming for the night, as well as participate on committees for planning information and decoration. Want to help plan? Contact Talia Orencel. 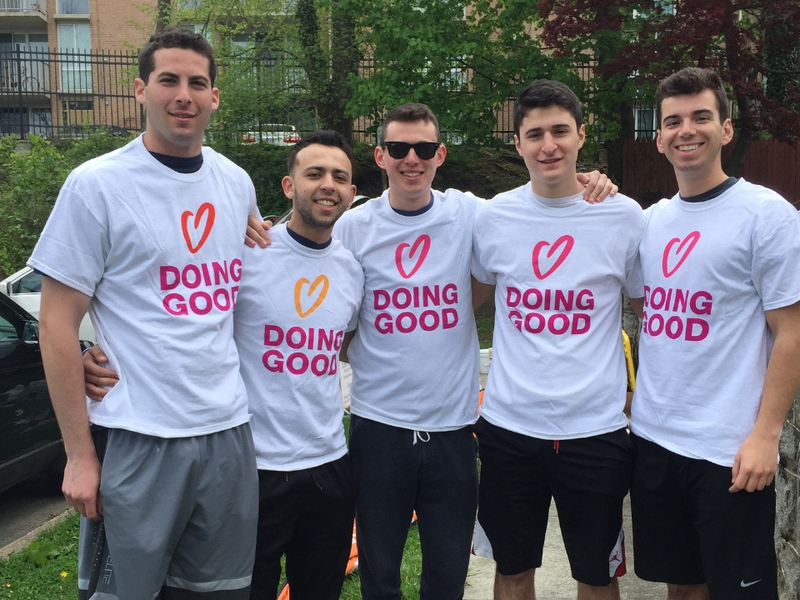 Monthly Good Deeds Day: Join us for a global day of service. 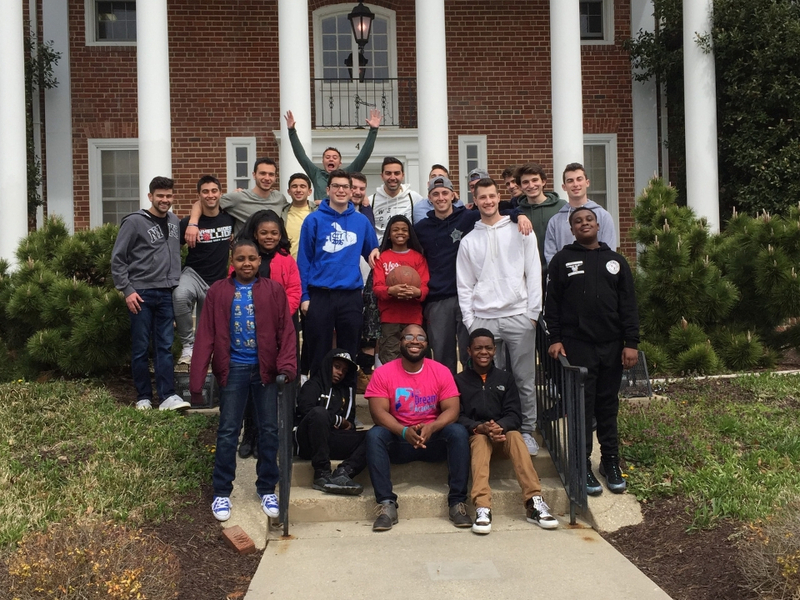 Each month students will spend a Sunday serving a different vulnerable population in the DC area . Want to arrange a day of service for your student group, group of friends or fraternity or sorority? Contact us and we can make it happen. Blood Drives: The American Red Cross is the nation’s largest blood collection organization, supplying approximately 40 percent of the blood and blood products used in our country. By donating blood, you are making a lifesaving contribution that benefits accident victims, cancer patients, surgical candidates, children with blood disorders and many others. Keep an eye out for our blood drives each semester. Contact Talia Orencel to help plan a drive.